Leaving behind a strong legacy of generosity, Carey Springer Bowen Craig passed away on Sunday night, March 3, at Erlanger Medical Center in Chattanooga. She was born in Dalton on June 1, 1940, the first daughter of William Carey Bowen Jr. and Idawee Springer Bowen. Her beloved childhood home on Sunset Circle was full of love, humor and a frog which came when she called it. She married Thomas McKinley Craig on June 30, 1973. Her late husband, Tom, passed away in 1986. She is survived by her two sons, Bowen Butler Craig of Athens, Ga., and Hamilton McKinley Craig of Decatur, Ga.; as well as two younger siblings, Betty Sponcler and William Carey Bowen III, both of Dalton. She was able to welcome into the world Hamilton and Carey’s daughter-in-law Branden Chapin Craig’s two amazing grandchildren, McKinley “Max” James Craig and Cozette “Cozy” Elise Craig. 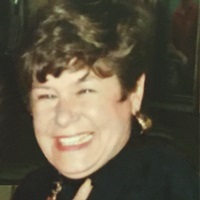 Her brother-in-law, Maurice Sponcler and sister-in-law, Ann Bowen loved her and contributed to the spirit of family created by Carey’s parents, which Carey believed in and lived by every day of her seventy-eight years. Carey attended school in Dalton, graduating with honors from Dalton High School in 1958. She matriculated to Agnes Scott College in Atlanta, majoring in English, and graduated in 1962. Following college, Carey attended the University of North Carolina at Chapel Hill, earning a Master’s degree in English Literature. Before starting her teaching career, Carey worked at the downtown Rich’s in Atlanta, in the Merchandizing Department and organized company-wide celebrations, writing and directing plays and musical performances. She ventured even farther north to teach for one year at a school in Harrisburg, Pa., before heading back to north Georgia. In 1968, in the second year of its existence, Carey joined the teaching staff at what was then Dalton Junior College, now Dalton State College. The love of her life, Thomas Craig, was set up on a blind date with Carey, by Tom’s best friend, Jerry Cox. Tom attended Georgia Tech. Their first son, Bowen, was born in Atlanta. Tom, who then worked in marketing at DuPont, was soon transferred back to the place of his birth, Wilmington, De. They moved to “The First State,” where Carey soon gave birth to a second son, Hamilton. The family later moved to Rochester, Mn., when Tom got his dream job as the first head of marketing for The Mayo Clinic, helping that wonderful institution expand to Jacksonville, Fl. and Scottsdale, Az. Tom passed away not long after, in 1986. Missing her large Southern family and happy to avoid the brutal Minnesota winters, Carey moved back to Dalton, where she lived the rest of her life. She rejoined the English Department at Dalton State College and enjoyed the support of the extended family and her friends from childhood. Her charitable spirit guided her every step. She worked to imbue others with her love of life, her ability to laugh at herself and everyone else. Carey suffered an aneurism in 1994 and thanks to some excellent doctors, a quick thinking friend and her own stubborn optimism, was able to rehabilitate herself, relearning many everyday tasks, from walking and talking to driving and copy editing. Carey managed to make it through all of it with a smile, a joke and a self-deprecating disposition which endeared her to everyone she met along the path of her impressive life. She will be missed. A funeral service will be held at 2 p.m. on Saturday, March 9, at St. Mark’s Episcopal Church. Visitation will be from noon until 1:30 p.m. on Saturday, March 9. All are welcome to attend either. In lieu of flowers, the family has asked that donations be made to charities and organizations which, as Carey did in life, work to enhance the lives of others, such as St. Mark’s Episcopal Church, 901 W. Emory St. Dalton, GA 30720, the Dalton-Whitfield County Public Library, 310 Cappes St. Dalton, GA 30720, the Dalton Creative Arts Guild, 520 W. Waugh St. Dalton, GA 30720, the Georgia Fine Arts Academy, and The Thomas M. Craig Memorial Scholarship at the Georgia Institute of Technology.